Jalapeño poppers are great when cooked on the grill. The bacon will crisp up pretty well, and you just can't beat the induced smoke flavor when cooking over wood. I personally like to mix a little chorizo and garlic into my cream cheese before I stuff the jalapeños and wrap them in bacon. A great jalapeño popper is cooked indirectly over a nice bed of hot coals until the bacon is done. 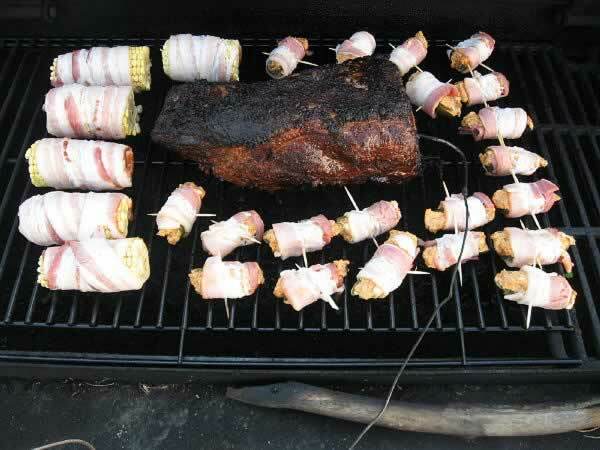 You can eat them right off the pit or dip them in your favorite BBQ sauce. No matter how you prefer them, jalapeño poppers are one of the best appetizers you can serve. 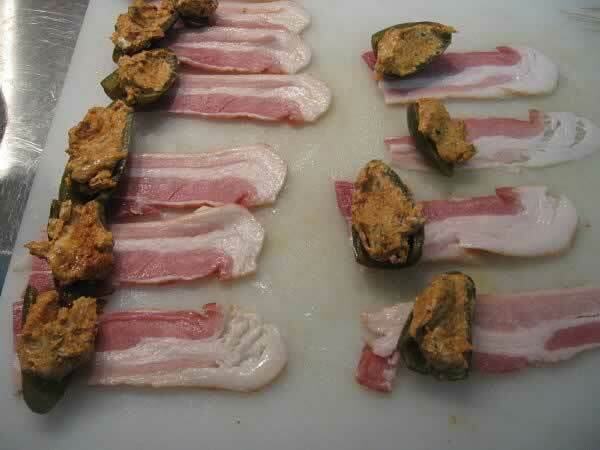 Stuff each jalapeno with the mixture and wrap in bacon. Secure the bacon by inserting a toothpick through the popper. Place them on the grill and enjoy when they are done! When the bacon is done, they are done. 1. 18 pickled or fresh jalapeños halved and seeded. 2. 1 - 8 oz. package of cream cheese. 5. 1 - lb. of bacon. 2. Add the minced garlic and cook for 2 minutes. 7. Grill indirectly over a hot fire until the bacon is done. 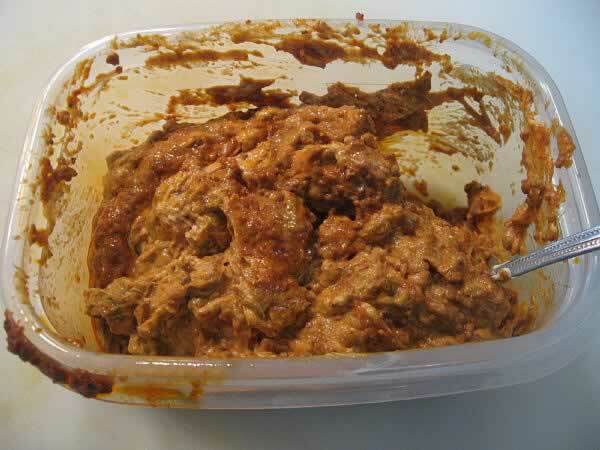 I usually dip them in BBQ Sauce to add even more kick!